Join in the fall fun on Tuesday, October 31, 2017. 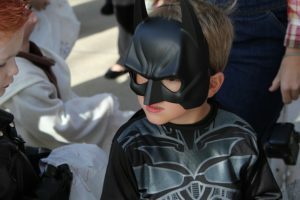 Kent Station is hosting its annual Halloween festivities next Tuesday, October 31 (4:30 pm – 7 p.m.) for pumpkins, princesses, ghosts and goblins. Trick-or-treating will begin at 4:30 p.m. and go while supplies last. The costume contest will be on the stage next to Coldstone Creamery, starting at 4:30 p.m. Prizes will be announced starting around 6:45 p.m. Must be present to win.